Needle Stick Injuries (NSI) with diabetes needles or lancing devices are one of the highest frequency sharps injuries in the healthcare setting. Some healthcare workers believe that because people with diabetes inject with short thin needles they represent little risk of transmitting infection. This is a dangerous fallacy. 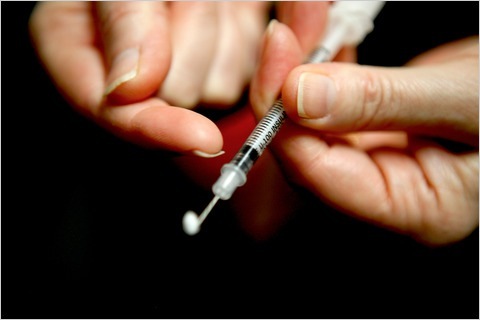 Diabetes needles themselves have been shown to retain traces of blood. It takes minute quantities of blood to transmit hepatitis B virus (HBV) or C (HCV). The average volume of blood inoculated in a NSI with a thin gauge needle ranges from 1.0 – 2.0 µL. This volume is more than enough to transmit an infectious dose of a blood-borne virus. In fact the viral load in a µL of infected blood can be up to a million (106) virus particles for HBV. Thus the viral contamination from one NSI is sufficient to infect many people with HBV. The viral load for HCV is lower, but is still enough to infect multiple victims. If we move from risk to actual conversions, the story is still worrying. Studies show that HCV conversions are between one and two for every hundred NSI percutaneous exposures with contaminated sharps. According to one study, HBV DNA was discovered in 11% of type 2 patients with diabetes, compared to 3% of the control sample. The Centers for Disease Control in Atlanta, Georgia, USA has recommended mandatory HBV vaccination for patients with diabetes and has warned that many of them may be asymptomatically infected with HBV. Presumably they were infected in settings where they underwent assisted blood glucose monitoring, with more than one person using the monitor. The prevalence of HCV among people with diabetes is similar to HBV, considerably higher than in the general population. HIV prevalence in persons with diabetes is approximately equal to control populations. For HIV and HCV no vaccination currently exists. Not all persons with diabetes scrupulously follow safe disposal procedures. One study has shown that only 33% of used sharps go into containers made specifically for the disposal of sharps; 12% go into an empty bottle or milk carton, 46% go straight into the rubbish after recapping, and 3.5% go in the bin without even being recapped. Correspondingly, in the hospital setting many safety boxes (containing used sharps) are overfilled, not changed frequently enough or are placed too low where children or other unsuspecting persons can reach in and get an accidental NSI. Frequent NSI from a population that uses the most needles of any other large group and has a high prevalence of an easily transmissible and potentially deadly virus – this is a toxic mix we cannot afford to ignore. Fortunately actionable solutions are available. In a survey we performed amongst 634 European diabetes nurses in 2012 nearly a third reporting suffering a NSI in the context of giving injections to patients with diabetes in the hospital setting. This is similar to US data. Lee showed that 78% of US nurses had ‘ever experienced a NSI’ (all devices included) and that 30% of these came from insulin needles. Hence approximately 24% of US nurses have suffered a NSI from giving diabetic injections, a figure similar to our own. These injuries put diabetes nurses at risk of blood-borne pathogens such as HBV, HCV and HIV. Furthermore, a worrying proportion of European nurses treating people with diabetes have not had HBV vaccination. Pen needles have two sharp ends, both of which can cause NSI. Most nurses injured in Europe receive their NSI from the patient end of the needle but nearly 1 out of 10 reported being injured by the cartridge end. There are very predictable gestures at which such NSI occurs: 29.5% of them occurred while recapping a used needle. Recapping should be strictly forbidden. Even the gesture of removing a pen needle is a critical and dangerous step because the user’s fingers come very close to the exposed tip. Nurses are usually trained to use a clamp to remove the pen needle or to put the needle in a sharps box and use the box lid to twist it off. But when European nurses were asked how they performed this step, 57% admitted they unscrew pen needles using their own fingers. Policies on safer practices exist and are posted on line and made available to nurses via posters, videos and other training tools. However by themselves these means are not effective in preventing NSI. When they are available nurses are often unfamiliar with them (29%) or untrained in NSI prevention (67%). As previously stated, unsafe practices such as unscrewing pen needles with the hands and recapping continue to be practiced at high rates. Therefore we need a ‘engineered solution’ to the NSI risk. Nurses who experience a NSI may have to change their work routines and duties for varying periods following injury, often involving a prolonged and stressful period of not knowing whether they have contracted a life-threatening infection. This period can last as long as six months, during which they have to undergo repeat blood testing and often take prophylactic medication. Work efficiency and motivation often declines and enormous stresses are placed on their personal lives. Nurses often describe such waiting periods as a ‘living nightmare’. Pen needles have two sharp ends, one which injects the patient and the other which penetrates the insulin cartridge (show picture). NSI occur with both ends, and both can be sources of potential infection. 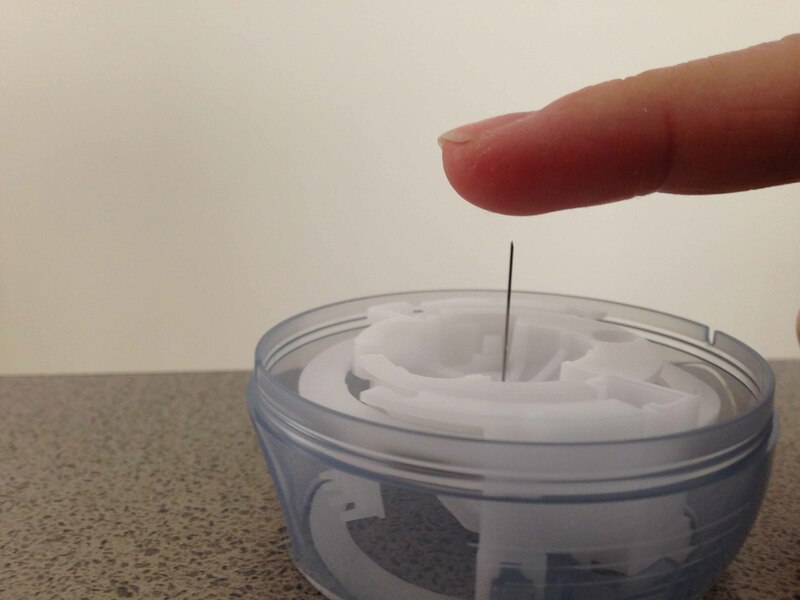 When unscrewing a used pen needle (done by more than half of European nurses) users’ fingers are usually closest to the cartridge end of the needle than the patient end. Pen injection devices aspirate human cells back into the cartridge during use  . Even one injection is enough to deposit epithelial and blood cells in the cartridge content. These potentially infectious cells can then be returned to the needle and accidentally transmitted to another person via a NSI. Both ends of the pen needle can do this. European data has shown that up to 10% of NSI with pen needles occur with the cartridge end, not the patient end. Hence protection must be provided against NSI from BOTH ends of the pen needle. The June 2010 publication of EU Council Directive 2010/32 /EU, on the prevention of sharps injuries in the hospital and healthcare sector, highlighted the importance of consistently implementing mandatory measures to prevent these potentially fatal injuries. The Directive had to be implemented in all EU member states by 11 May 2013 at the latest. In accordance with this new EU Directive  and its transpositions into member-state legislation, it is advised that all at-risk injections be given with a safety-engineered device. The obligation to provide all healthcare professionals with the safest possible environment covers all diabetes injections in the hospital as well as those given in distributed institutional settings (e.g. nursing homes, ambulatory clinics, schools, prisons, nurseries, 3rd party injectors in home health settings, etc.). Currently a number of safety-engineered medical devices exist, including active devices (where the user manually pushes a needle shield to cover the needle) or passive active devices (which shield or retract the needle automatically after it has been deployed). Many diabetes nurses are unaware that these devices exist. We have seen that a NSI with either end of the pen needle can deposit potentially infectious cells in the recipient of the injury. To be totally effective a safety pen needle must protect BOTH ends of the needle. Safety devices such as a pen needle with this dual protection have been shown to reduce the incidence of NSI dramatically     , and accounted for <2% of NSI in our survey. Acquisition costs may initially seem off-putting to healthcare organizations, yet a number of studies   have shown that the prevention of injury almost always leads to a positive return on investment. Today the most optimally safe pen needle provides dual protection, blocking both the patient and cartridge ends of the sharp after use. 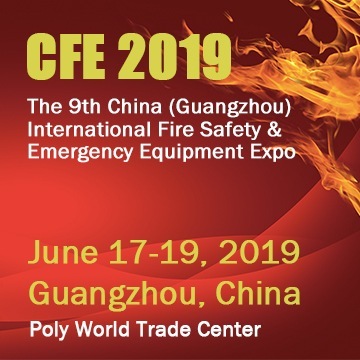 However, to approach 100% patient and operator safety, it is essential to provide appropriate training of health personnel in the use of the device. Philippe Kiss, MD; Merc de Meester, MD; Lutgart Braeckman, MD, PhD; Needlestick Injuries in Nursing Homes: The Prominent Role of Insulin Pens, Infection Control and Hospital Epidemiology, December 2008, Vol.29, No.12. Mondy K, Overton ET, Grubb J, Tong S, Seyfried W, Powderly W, Yarasheski K. Metabolic syndrome in HIV-infected patients from an urban, midwestern US outpatient population. Clin Infect Dis. 2007 Mar 1;44(5):726-34. Epub 2007 Jan 22. Demir M, Serin E, Göktürk S, Ozturk NA, Kulaksizoglu S, Ylmaz U. The prevalence of occult hepatitis B virus infection in type 2 diabetes mellitus patients. Eur J Gastroenterol Hepatol. 2008 Jul;20(7):668-73. Simó R, Hernández C, Genescà J, Jardí R, Mesa J. High prevalence of hepatitis C virus infection in diabetic patients. Diabetes Care. 1996 Sep;19(9):998-1000. De Coninck C, Frid A, Gaspar R, et al. Results and analysis of the 2008-2009 Insulin Injection Technique Questionnaire survey. J Diabetes. 2010 Sep;2(3):168-79. Costigliola V, Frid A, Letondeur C, Strauss K. Needlestick injuries in European nurses in diabetes. Diabetes Metab. 2012 Jan;38 Suppl 1:S9-14. Lee JM, Botteman MF, Nicklasson L, Cobden D, Pashos CL. Needlestick injury in acute care nurses caring for patients with diabetes mellitus: a retrospective study. Curr Med Res Opin. 2005 May;21(5):741-7. See, for instance, Nursing Times, Why we must stop needlesick injuries, 3 October 2006. Le Floch JP, Herbreteau C, Lange F, Perlemuter L. Biologic material in needles and cartridges after insulin injection with a pen in diabetic patients. Diabetes Care 1998;21:1502-1504. Herdman ML, Larck C, Schliesser SH, Jelic TM. Biological contamination of insulin pens in a hospital setting. Am J Health Syst Pharm. 2013 Jul 15;70(14):1244-1248. Melissa K. Schaefer MK, Kossover RA, Perz JF. Sharing Insulin Pens: Are You Putting Patients at Risk? Diabetes Care, 36, November 2013, e188-189. EU Commission for Employment, Social Affairs and Inclusion, New legislation to reduce injuries for 3.5 million healthcare workers in Europe, 8th March 2010. The Directive specifically requires: ‘eliminating the unnecessary use of sharps by implementing changes in practice and on the basis of the results of the risk assessment, providing medical devices incorporating safety-engineered protection mechanisms.’ Council Directive 2010/32/EU, Official Journal of the European Union, L134/71 and Council Directive 2010/32/EU, Official Journal of the European Union, L134/69. Adams D, Elliott T.S.J., Impact of safety needle devices on occupationally acquired needle stick injuries: a four-year prospective study. J Hosp Infect 2006;64:50-55. Tarantola A, Golliot F, Astagneau P, Fleury L, Brucker G, Bouvet E; CCLIN Paris-Nord Blood and Body Fluids (BBF) Exposure Surveillance Taskforce. Four-year surveillance from the Northern France network, Am J Infect Control. 2003;31:357-63. Cullen BL, Genasi F, Symington I, Bagg J, McCreaddie M, Taylor A, Henry M, Hutchinson SJ, Goldberg D. Potential for reported needle stick injury prevention among healthcare workers in NHS Scotland through safety device usage and improvement of guideline adherence: an expert panel assessment. J Hosp Infect 2006;63: 445-451. Meryl H. Mendelson, Bao Ying Lin-Chen, Lori Finkelstein-Blond, Eileen Bailey, Gene Kogan. Evaluation of a Safety IV Catheter (IVC) (Becton Dickinson, INSYTE™ AUTOGUARD™) : Final Report Eleventh Annual Scientific Meeting Society for Healthcare Epidemiology of America, 2001 SHEA, Toronto, Canada. Jagger J et al. The impact of U.S. policies to protect healthcare workers from bloodborne pathogens: The critical role of safety-engineered devices, Journal of Infection and Public Health (2008) 1, 62—71. Armadans Gil L, Fernandez Cano MI, Albero Andres I, Angles Mellado ML, Sanchez Garcia JM, Campins Marti M, Vaque Rafart J. [Safety-engineered devices to prevent percutaneous injuries: cost-effectiveness analysis on prevention of high-risk exposure] Gac Sanit 2006 Sep-Oct;20(5):374-81. Anna H. Glenngard ;Ulf Persson, Costs associated with sharps injuries in the Swedish health care setting and potential cost savings from needle-stick prevention devices with needle and syringe Scandinavian Journal of Infectious Diseases, Volume 41, Issue 4 2009 , pages 296 – 302. NHS Scotland, Needlestick Injuries; Sharpen your Awareness, Annex 3, Safer Devices Cost Benefit Assessment.